To rediscover and maintain the compact texture of a young face, you need to provide your skin with the right amount of moisturisation, but also help it effectively fight the effects of free radicals, in other words the signs of premature ageing. 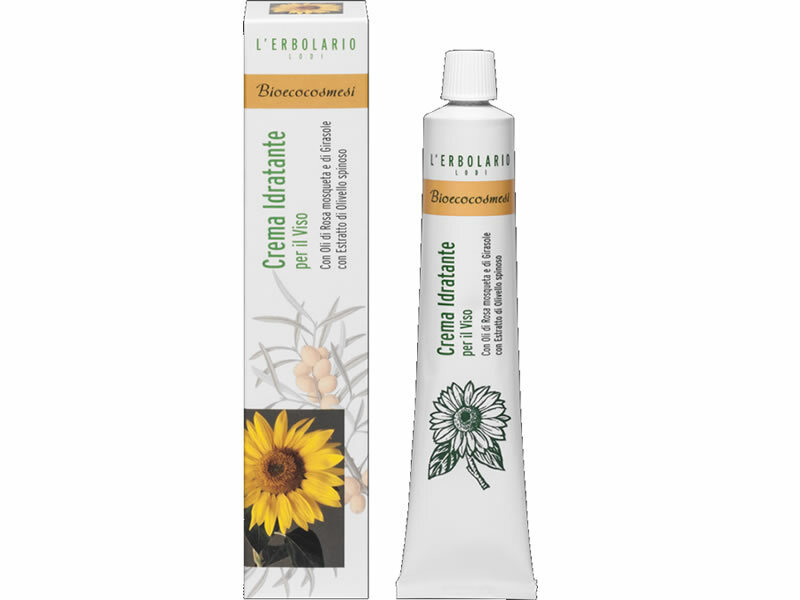 These are the objectives of the organic, high purity ingredients contained in the treatment: The Oils of Sunflower, Musk Rose and Sesame, with their protective and nourishing effect, the Waxes of Olive, Apricot, Almonds and Wheat with their compacting action, as well as extract of Seabuckthorn, with its excellent antioxidant power. After cleansing your skin, use your fingertips to spread a small amount of cream onto the face and low neck line, and help it absorb with a gentle massage. A recipe to be used every day for supple and smooth skin. Organic Sunflower Oil, Organic Sesame Oil, Organic Musk Rose Oil, Organic Extract of Seabuckthorn, Organic Extract of Rose Hip, Olive Wax, Apricot Wax, Almond Wax, Wheat Wax, Unsaponifiable fraction of Olive Oil, Vitamin E from Soybean, Gamma Oryzanol, Perfumed note rich in essential oil of Provence Rose. Aqua, Helianthus annuus Seed Oil*, Glyceryl Stearate SE, Olea europaea Oil Unsaponifiables, Glycerin, Cetearyl Alcohol, Sesamum indicum Oil*, Rosa moschata Seed Oil*, Rosa canina Fruit Extract*, Hippophae rhamnoides Oil* Prunus amygdalus dulcis Oil, Hydrogenated vegetable Oil, Lonicera caprifolium Extract, Olea europaea Fruit Oil, Hordeum vulgare Cera, Rosa damascena Flower Oil*, Oryzanol, Tocopherol, Rosmarinus officinalis Extract, Brassica campestris oleifera Oil, Xanthan Gum, Citric Acid, Parfum, Geraniol, Phenoxyethanol, Potassium Sorbate Sodium Benzoate.